Joergen W. Lang (Vocals, Guitars, Goldie Low-Whistles) is a composer, producer, performer and recording artist. He is a pioneer of the DADGAD guitar tuning in Germany and founder member of award-winning German progressive Folk band Hoelderlin Express. 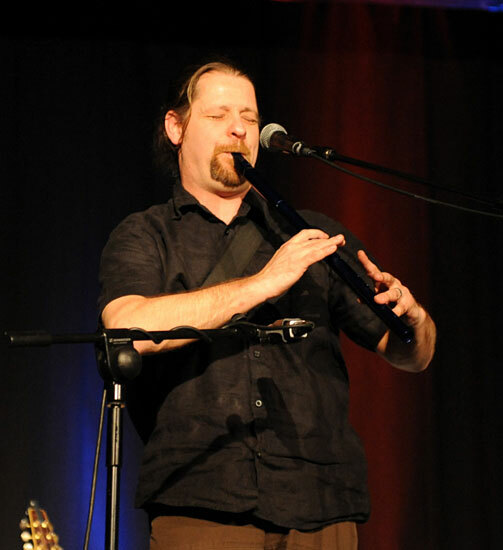 His current projects are: DÁN ("fine irish music"), releasing their second CD soon; member of the International World Music Festival "KlangWelten" 2009; member of "Karawane 2010"; constant member of Ruediger Oppermann's "Karawane" ensemble, realising various world music projects. Joergen's first solo album is scheduled for release in mid-October 2009. "On the 23rd of January 2009 you drove 200km just to help me out with spare instruments. You didn't have to, but you did.